The steps taken to home ownership can be exciting, frustrating, nerve racking and fun. It is important that during this gamut of emotions that you are able to keep focus on the end game. Oftentimes homeowners think the process is over once they are under contract, but indeed there is work to be done and celebrations should be put on hold for just a while longer while you focus on some important VA contract guidelines. It doesn’t happen often, but sometimes a homeowner can indeed lose focus because of all the excitement. Losing focus can result in delays in the financing process or even result in losing the opportunity to secure a loan. You should have a good Home Loan Specialist will instruct you on important things to maintain once you are under contract. Tiare Fullerton of Hawaii VA Home Loans will review your credit inquiries, bank statements and pay stubs to determine if you have debts that were not disclosed on the application. From the time you apply for the loan to the time you close, we advise you do not apply for any new debts – including co-signing on a note, buying or leasing a vehicle and refinancing other notes – without consulting your loan officer. These are things you want to have in line and set aside after you have closed on your new home. Try and avoid taking on new debt, such as buying a car. Consider putting off job changes until the process is over. Don’t move money around or change banks, this doesn’t look good. Keep on top of your bills and don’t miss a mortgage payment. Be mindful of credit card limits. It is important to note that even if you are not able to avoid the things above your loan may still close, but closing can be delayed while additional documentation is obtained as we work to verify all your information. If the new debt increases your debt load, there is an increased risk of changing your debt to income ratio and effectively ending your chance to purchase the home you have selected. Some of this information may cause you to get a little nervous… that’s okay, it is just important to be mindful and stay the course. If you have questions about some of this or want to talk don’t hesitate to contact your VA Loan Specialist right away. The journey toward owning a home is one of the most rewarding ones you can take. 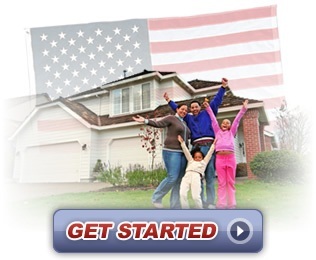 When you are ready you can review the VA Loan Process and the steps you will need to take. Remember, following these VA contract guidelines will ensure that you have the smoothest ride journey possible on the road to owning your new home.